Don’t be scared! There are no real monsters inside of the Monster Casino, just monstrous amounts of great gaming experience! It’s a quite new online casino out there, but since its establishment in 2017. it took the gaming community by a storm with its lovable site design and an impressive selection of games! At first glance, Monster Casino may look easy going, but don’t let that fool you! As soon as you start playing you will see many promising signs to indicate that safety and game quality are on an exceptionally high level. With this comprehensive Monster Casino review, we will try to give you everything you need to know about it from start to finish! Monster Casino £5 No Deposit Bonus! As soon as you enter the Monster Casino you will be welcomed with £5 to start playing. The best thing about this bonus is that you don’t need to make any deposit to get it! Just register and start to play! Monster Casino – Up to £500 Welcome Package and 50 spins! First deposit: 200% match bonus up to £50 and 50 free spins. Third deposit: 50% match bonus up to £250. When you start depositing be aware that the minimum deposit is £10 and that you will be able to use this hefty welcome bonuses only on Starburst slot. When you start playing at Monster Casino gifts and bonuses never stop coming. They tend to surprise players with gifts and fresh bonuses round the year. So whether it is New Year, Christmas, St. Patrick day or some other occasion when it would be nice to show love and appreciation, be sure that Monster Casino would not forget to send you some nice gift. So keep yourself updated on newest promotions at Monster Casino and don’t miss any of the attractive bonuses they provide. Monster Casino has a fair number of games, starting from a fantastic number of slots, live casino games and some of the not so common game options, such as scratch cards. Slots are definitely their strongest point and the reason why they have become well known in the UK gaming community. Besides slots, casino game offer is also worth your attention. With both regular and live casino options and many variations of popular table games such as blackjack, roulette, and baccarat, you will be more than satisfied with what the Monster Casino has to offer. No matter how experienced you are, Monster Casino is able to provide you with The game that suits your desires. If you are new to online casinos, and just want to play some basic slots, or you already have some experience under your belt and want to go for live games – rest assure, you will find what you are looking for at the Monster Casino. Slots – The best of the Monster Casino! Selection of slots at the Monster Casino is massive! There are over 200 slots, with new additions added regularly to keep you interested. Slots are definitely the main focus of the Monster Casino and it’s most valuable asset. Almost all the major game providers have brought their top products to the Monster Casino. Most of the slots are provided by NetEnt, with some of the most popular pieces out there such us: Gonzos’s Quest, Starburst, Wild Wild West, Warlords: Crystals of power and many more. Microgaming slots, such as always popular Thunderstruck and Mega Moolah, could be very interesting. If you are interested in IGT progressive slots than Monster Casino would not disappoint you! Be sure to check Wolf Run, Siberian Storm, Cleopatra or Isle of Plenty for maximum entertainment. 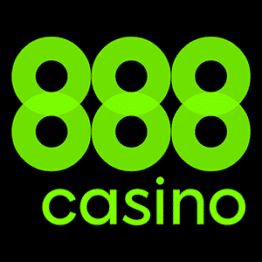 For the most experienced players who already tried all of the games above, they have prepared many of the in-house developed slots exclusive for the Monster Casino. You can always find something new here and have a great gaming experience. On the other hand, you will also find a nice selection of Nektan slots which are not available on other online casinos. These slots are best known as penny slots, so even the players with a modest budget could play some of the best games out there. With the radiant colours and smooth gameplay of the Monster Casino’s table games, the only thing you may miss from the old fashioned brick and mortar casino is the fancy dressing up! Here you can find all the classic table games such as Blackjack, Roulette, Poker and Baccarat in all kinds of different variations such as Hi-Lo Blackjack and Speed Roulette. Live games are also present. With everything explained from top the bottom, Monster Casino’s live games may be a great choice if you are just starting with the live casino. The Monster Casino also tried not to disappoint the more experienced players. Live games library contains 29 games at the moment, that includes: Three Card Poker, Caribbean Stud Poker, Casino Holdem, Blackjack Party, French Roulette, Double Ball Roulette, Speed Baccarat and so on. Besides the classical games at the Monster Casino, you will also be able to play some less common games such as Dream Catcher and Football Studio. If you are a fan of scratch cards then you will definitely have tons of fun at Monster Casino! With its exciting animations that bring all the joy and the excitement of revealing what is beneath that silver coated paper, scratch cards at Monster Casino are definitely worth a shot. The return rate of this kind of games is very high, so there is a fairly small risk of losing big. You can choose from 10 different scratch card games. In case you are here for some instant playing and winning, then the Instant games may be the thing for you. The best thing about these games is that you can play and withdrawal your winnings instantly. Monster Casino has made some of the most popular instant games available for its players. Cash Buster which allows you to win up to £250.000 and Mayan Legends were you can win even £200 in a single spin are among the most popular ones. If you want to investigate further you can choose from 18 different instant games at Monster Casino. Be aware of the fact that if you use Boku mobile deposits you will be charged with a 15% fee. If you use any other payment method you will not be charged with any extra fees. Minimum withdrawal amount at Monster Casino is £10 unless that is your last withdrawal and you plan to close your account. The withdrawal time depends on your payment method. VIP at Monster Casino – Reserved for the best! The easiest way to become a VIP player at Monster Casino is to opt-in VIP program scheme via profile area on the homepage or by contacting some of the casino team members via telephone, e-mail or live chat. Once you're in you can expect massive benefits such as special gifts, faster withdrawal times, your own personal account manager and so on. Monster Casino is the only casino where you will remain a VIP player as long as you are around. Once a VIP, always a VIP! Not all VIPs are made equal. As you rise your deposits you will climb up the VIP leader and acquire better rewards. Note that when you become Premiere or Elite level you will get access to Monster Casino’s weekly loyalty program which rewards unlucky players with between 5% and 10%, on your weekly net position. Online casino world is changing so fast that sometimes is hard to catch up with the newest trends in the industry. Fortunately, Monster Casino took care of that. With the Monster Casino Blog you will be updated on all hottest subjects from the gaming industry. Blog is regularly updated, at least a few times a week, and covers news, casino trends, events and much more. Post are comprehensive and easy to read which makes Monster Casino Blog a great source of online casino information. Monster Casino managed to make the most out of mobile casino experience. Everything about it is exceptional, from vast game selection to perfectly smooth gaming experience. This shouldn't be surprising because is part of the Nektan casinos which is well known for its outstanding mobile functionality, great game selection, and hefty bonuses. The mobile interface is well optimised for all sorts of different devices, and it’s quite simple to use. Top games are listed on the first page with options like login and support being just one click away. You don’t even need some high-performance device, this mobile casino isn't too heavy on resources. All you need is your regular smartphone and an Internet browser installed and you will be able to play some of the best mobile slots at Monster Casino. With just a few moves you can play Starburst, Wolf Gold, Mega Moolah, Bar Bar Black Sheep and many more games whenever you want. If you are iPhone or iPad user, even better. You can download a free iOS app available on the App Store. Telephone line and live help are available from 08:00 to 00:00 GMT/BST and response time for e-mail is 24 hours. From the Monster Casino support advise that if you use e-mail support never include your password or full credit card number in the message, because of the security reasons. As the Monster Casino is powered by Nektan Company you can be sure that this casino can be trusted. Nektan is licensed and regulated by the Gambling Commission for the customers in the UK and licensed by the Gibraltar Government and regulated by the Gibraltar Gambling Commission for all other customers. All money transaction are safe because they are protected with an SSL encryption. This leads to the conclusion that the Monster Casino is without a doubt a safe and trustworthy place to play. With its extensive beginner tutorial and the inclusion of penny slots, Monster Casino may just be one of the best places out there to start your gaming journey. Even if you are experienced player Monster Casino have quite a lot to offer you, especially if you love playing slots. Monster Casino may not be the biggest name on the market, but with its nice design, generous welcome bonus and first-class mobile experience it may just be the perfect place for you. At the moment Monster Casino doesn't accept PayPal deposits. You can choose from a wide range of other payment methods for the UK players, which includes: Visa, master, Maestro, Neteller, Skrill, Boku, Skrill 1-tap, Paysafe card and Trustly. Be aware, if you use Boku mobile deposits you will be charged with 15% extra fee. For all other payment methods, there will be no extra charge. What is the welcome bonus at Monster Casino? There is £5 no deposit bonus for every new player at Monster Casino. The no deposit bonus is available only on Shamrock n’ Roll Mayan Marvel and Candy Swap. Also when you start depositing you can expect another set of bonuses. For the first deposit you will receive 200% match bonus up to £50 and 50 free spins, for the second 100% match bonus up to £200, and finally for the third deposit 50% match bonus up to £250. Note that these bonuses could be used only on Starburst. Are Monster Casino games available for Mac? No, at the moment there is no downloadable app for your Mac device, but there is an app for iPhone and iPad available on App Store. It’s is free of charge and you will be able to acquire all the welcome bonuses when playing with this app. You can always play at Monster Casino with your web browser. If you are an Android user you can use your mobile web browser to access the Monster Casino. The site is mobile responsive and well optimised for all kinds of different devices.